“Beauty is in the eye of the beholder”, a statement here couldn’t be more apt for Machine Head’s controversial 2018 offering ‘Catharsis’. Having already ruffled more than a few feathers in the Metal community with some unexpected single’s, its for good reason. ‘Catharsis’ is a record that will get people talking. I can guarantee, regardless of what your opinion to the album might be, this will be the record that people are talking about around the pub table. With ‘Catharsis’, the band have well and truly proven that they can do what they want, where they want and when they want still sounding absolutely brilliant. Contrary to some of the more negative reviews you might have seen surrounding the album, ‘Catharsis’ is entirely worth the attention given to the monstrous undertaking of 75 minutes. Understanding that, there’s so much to take in. Lyrically, the record bites back, using crass lyrics to represent a point. Musically, the record moves from all out Groove Metal to Folk, Prog and all the epics between. Sounding like 90’s era Machine Head, to mid 00’s and right up to 2018. Much like its title Catharsis’ genius takes the listener on a journey with all sorts of metaphorical twists and turns and its one hell of a ride. Check my YouTube video below for the full review and final rating! 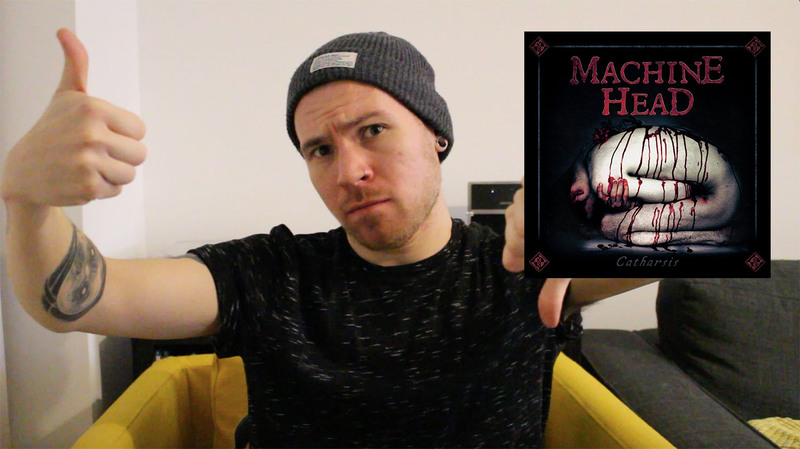 Machine Head’s head turning Catharsis is set for a January 26th release via Nuclear Blast and you can preorder the record right here!